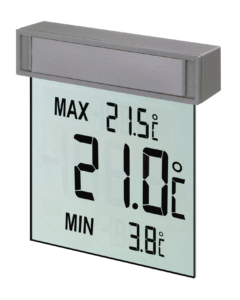 Finding out about the weather outside can’t get any easier than this! 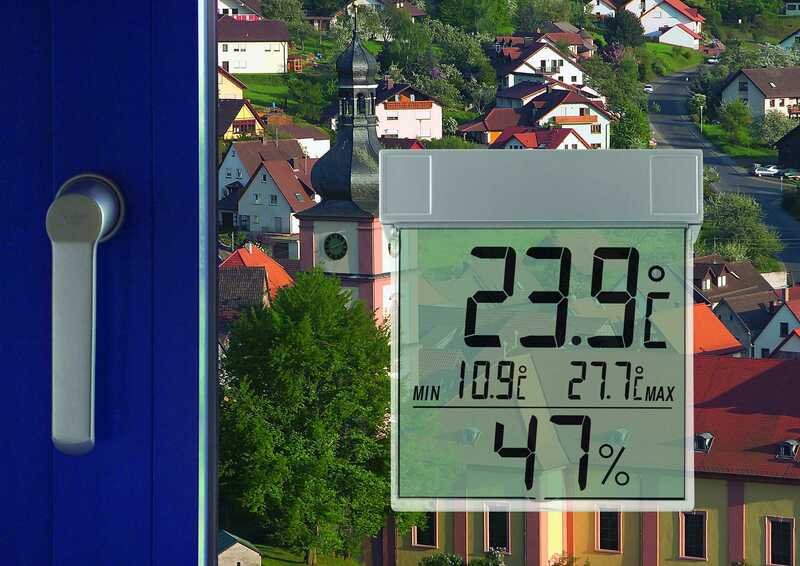 If the "VISION" from TFA is in use, the outdoor temperature and humidity in large digits is practically displayed directly on the window pane. 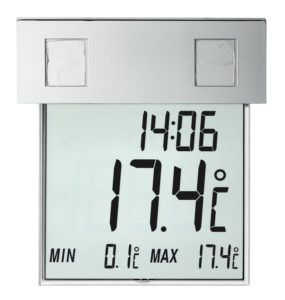 Flat, light and elegant, the thermo-hygrometer is attached to the window pane outside and the readings can be conveniently read from indoors. 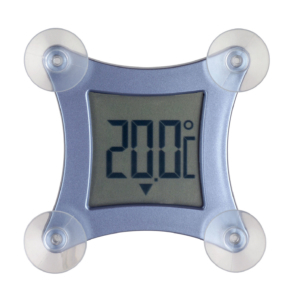 The day’s highest and lowest values are included and always updated with a daily automatic reset. 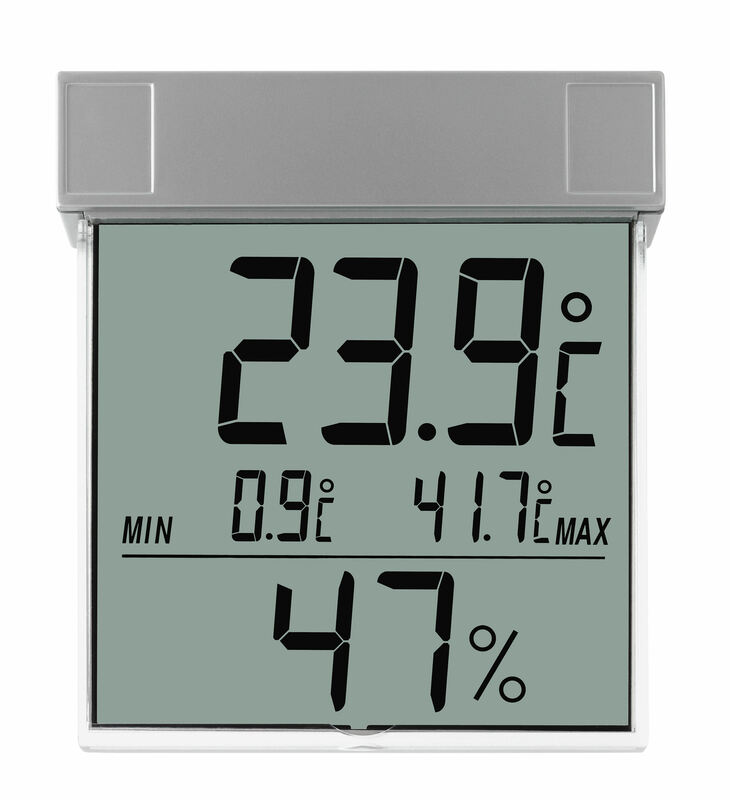 The weatherproof thermo-hygrometer is very easy to mount: attach the holder onto the outside pane, hang the device and it’s done. 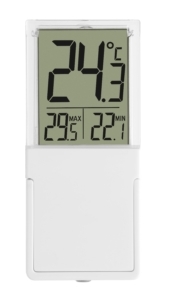 The device can be easily removed for window cleaning or battery replacement.